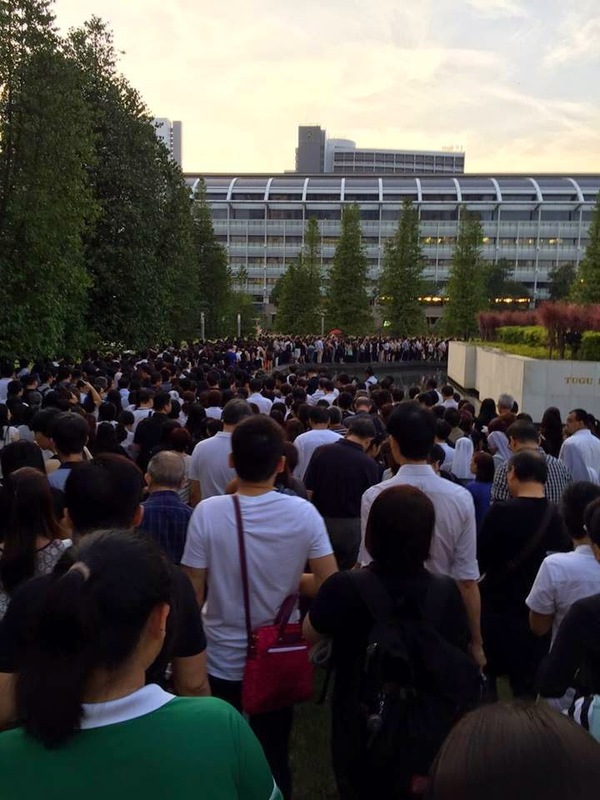 This whole week, Singapore seem to come to a stand still as the nation mourns on the passing of our first prime minister Lee Kuan Yew. The scenes were touching, the support unwavering and the unity is strong. Everyone came or is still coming to express their gratitude in one way or another. How could one man's death have such a huge impact on a country and even impacted the international realm as well. Former U.S president, Bill Clinton, will be coming with a few other US officials to attend Mr Lee Kuan Yew's funeral service on Sunday. Why did so many people respect him so much? This whole week, most of the usual TV programs on all Singapore's media channels were cancelled. Instead, they broadcast documentaries of Singapore's history and how Mr Lee Kuan Yew brought Singapore to this current stage. I've been watching some of these programmes and just a few hours ago, there were a broadcast on Mr Lee Kuan Yew's various speeches from the 1950s all the way to the 1980s. From those speeches, I could really sense his heart for Singapore and his concern for the people of Singapore. So many people have came to queue up just to pay their last respects to him. 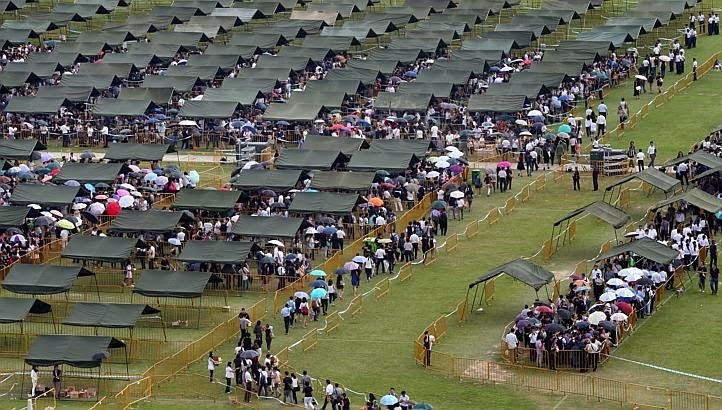 People are queuing up for up to 10 hours just to personally pay their respects to him. This is really amazing. A few issues were brought up in his speeches. Low birth rates and low marriage rates were among the problems that had to be resolved. In 1975, 10 years after independence, there was also complacency seen in the people of Singapore. Life was better, spending habits have changed where people are spending more money. He was worried that parents would pamper their kids too much and spoil them in the process. In 1975, he urged the people not to be complacent and not pamper their kids too much just because they could afford it. Every year from 1975 onwards, he keep rallying the people of Singapore together and reminded them how far they had come. He keep asking the people of Singapore not to take things for granted as they could lose all these in a very short time. In the late 1970s, he said the current generation have not experienced an economic crisis before but they will experience it soon in the 1980s. He warned and prepared the people for it. I guessed such reminders were taken to heart by Singaporeans back then as Singapore grew even stronger after the crisis. "This is not a game of cards, this is your life and mine. I've spent a whole life building this and as long as I'm in charged, nobody's going to knock it down". What I did not know was what he spoke before this familiar scene. I was watching the whole 20 mins rally and realised he was speaking in the rain. The rain got heavier and heavier and he was wiping the rain water off his face with his hands as he was speaking. His shirt was all wet. The people who were listening to him speaking still stayed on listening to him in the rain. The other PAP members sitting behind him were in the rain too without umbrellas. Their shirts were also wet and throughout the whole speech, I could see those PAP people behind him also wiping the rain water off their face and some took off their glasses to get rid of the rain water. This was the kind of government which Lee Kuan Yew led and the kind of people we had who could endure and stay united together. Apart from the firmness and ruling with a iron fist which we know, Mr Lee Kuan Yew was actually just another simple man with a simple life. I read on the New Paper yesterday that his frugality was well known in Tanjong Pagar where he served the residents for the last few decades. I quote: "He maximised all resources available and there was never any wastage. Where there was no need for resources, he would never put any there." Mr Lee also lived in a modest home. His house is still filled with olden days items dated back to the 1970s and the house remains largely unchanged as compared to the multi-million dollar, multi-storey bungalows that sprang up around it. You see, a man with great stature and still lives humbly shows that he doesn't need to prove anything. He has got no need or desire to show off what he has achieved. Yet, he has gained the respect of many by staying humble and passionate for a good cause. As we all know by now, Mr Lee Kuan Yew loved his wife a lot. The death of his wife a few years ago was devastating for him. When his wife was bed ridden but still conscious, he would read to the love of his life every single day. 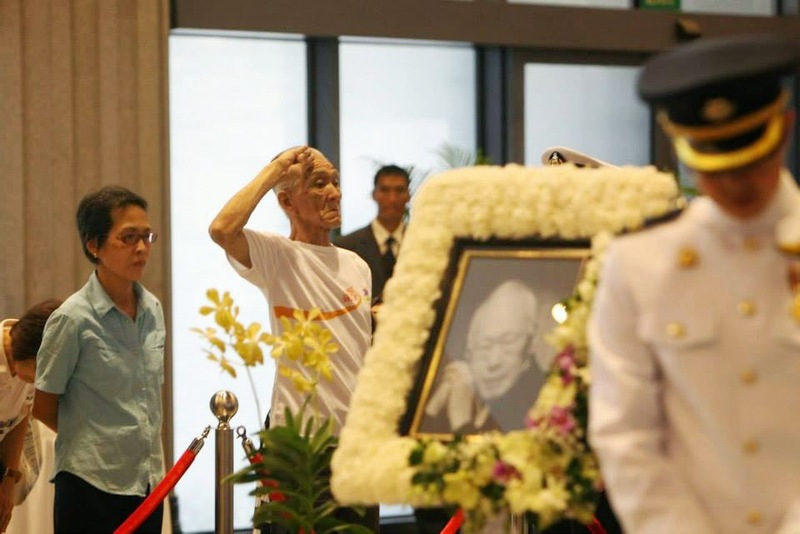 Defence Minister Dr Ng Eng Hen said when he was travelling overseas with Mr Lee Kuan Yew for official duties, he still never fail to call back to his home and read to his wife everyday. It is heartening to see so many people showing their gratitude to a man whom they may have never even met before. The once often negative landscape of the social media has transformed into a place where people show support and gratitude. I'm sure we are much happier when we think about how fortunate we are to live in a country of peace and prosperity instead of complaining and sinking down into negativity. After studying economics in university, I know a country's success or failure does not come by chance. It is the deliberate planning and policy implementations which made Singapore to where it is today. We should never be complacent and take all these for granted. The future of Singapore will depend on all Singaporeans, whether we are still united and stand together as one people and one nation. A divided nation can never survive long. 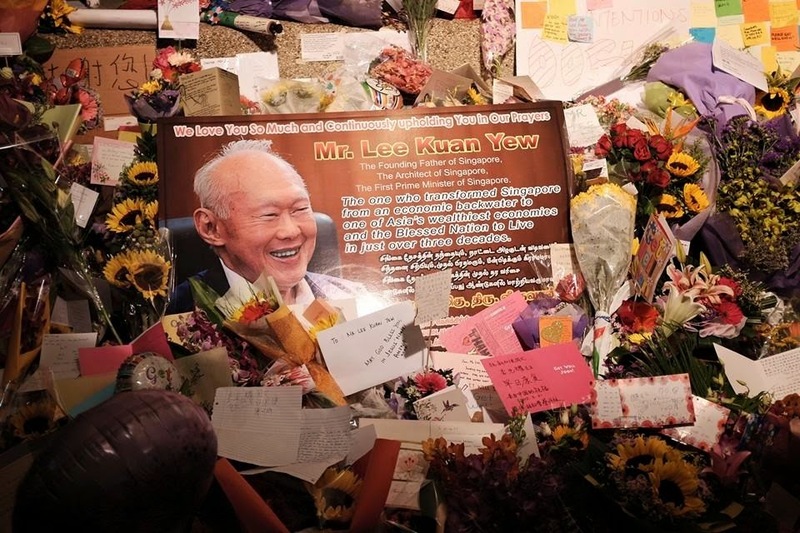 The reason why we can live in harmony with each other is because an identity has been built painstakingly by our founding father, Mr Lee Kuan Yew. We should never lose this Singapore identity and I'm glad that we are showing the whole world the strength of our unity at this current moment. May Singapore be an ever greater nation for many generations to come. 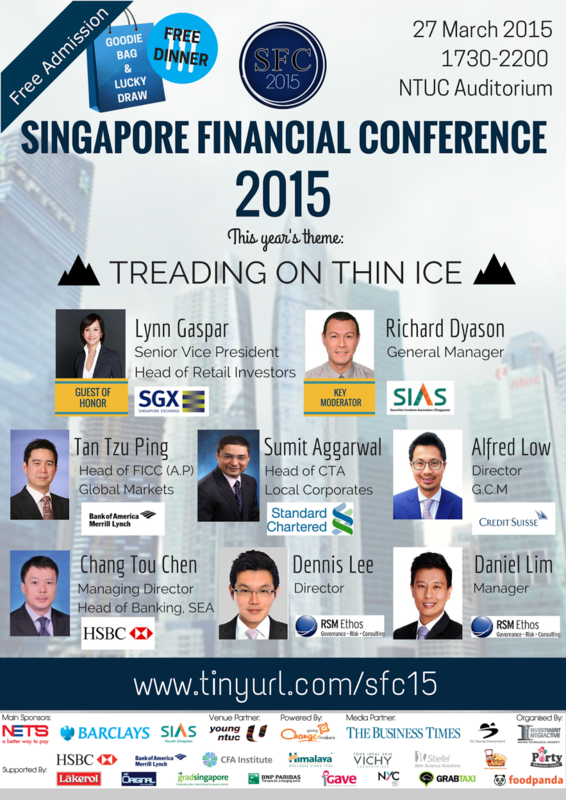 In Singapore, financial advisers are often associated with the insurance industry. My first encounter with a financial advisor was when I was still a student around the age of 19. I was starting to get curious on financial planning and wanted a higher interest rate for the little money I had in my bank account. You see, many years ago, the interest rates the banks gave were already at a low of less than 1%. One day while I was walking on the streets, a financial adviser approached and asked me whether I'm interested in a plan that will give me 3% (more than 3 times higher than the bank interest rates), it naturally got me interested. Throughout the years, I've met more than 10 financial advisers from many different companies. Some were good while some were not so good. Some were so well trained in their sales pitch that I've heard different advisers saying the same thing. I started doing sales when I was at the age of 16 so I could recognise that it was just a sales pitch right away. Even though its a sales pitch, one good advise that I constantly hear is that we should have protection before investments. It is true that insurance is important for us as well as our loved ones. However, over the years, I've heard some friends saying they were having a hard time paying for their insurance premiums because they bought too much. Some even had to cancel their insurance policies and lose money just because they couldn't keep up with the payments. Having a wrong financial advisor can be disastrous. So, do we really need a financial advisor? I thought to myself, what if I could buy insurance online? This is possible now with Do-It-Your-Way-Insurance (DIYInsurance), a web portal by Providend Ltd. The web portal allows us to compare different insurance products from different companies and they provide 30% commission rebate on all purchases when we buy from them. The good thing about this web portal is you get to learn all about insurance and compare the different insurance products all at the comfort of your own home without having the pressure to buy. They are also licensed and regulated by the Monetary Authority of Singapore. Let's see how DIYInsurance works. With DIYInsurance, you have full control over your insurance purchases. The comparison tool gives you access to a wealth of information on a wide range of insurance products in the market, and you are free to compare and choose the lowest premium or best value product for yourself without any pressure from a salesperson. Use their comparison tool to find the product you feel best suits your needs. Request for a quote from them. 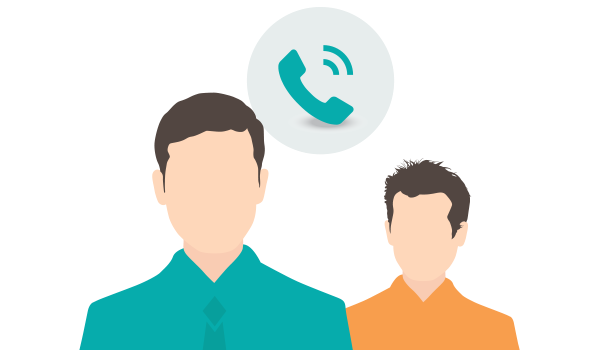 They'll call you to provide you with cost information and answer any questions you may have about the product. They'll assist you with application forms and documents required and submit them for you. After the insurer approves your application, you'll get the policy contract via mail. They'll also return you 30% of the commissions they get from the insurance company, where applicable. What I like about DIYInsurance web portal is they also provide educational materials on financial planning in the form of infographics, articles and videos. They even have various calculators for protection, for savings and for retirement for us to plan our financial life better. Check out some of their educational videos on financial planning here. With DIYInsurance, all of us can be financial advisers for our own life and decide on what we want without any pressure. You still can get quality financial advise from them any time when you're not sure about any products. From what I know, their staffs do not have any sales incentives so you won't get pressured to buy anything. You get cheaper insurance but at the same time you also get quality advise. Check out their website and start your own financial planning today! 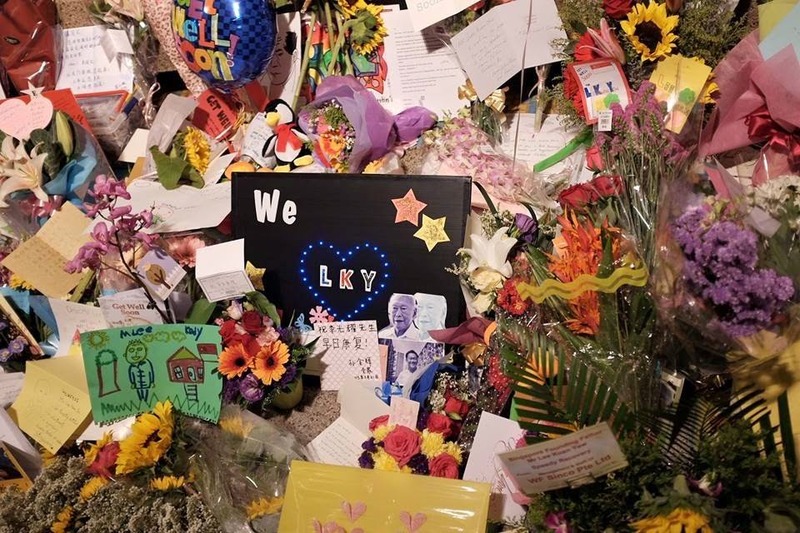 For the past few weeks, Singaporeans have been coming together to show support for our first prime minister, Lee Kuan Yew who is still warded in the intensive care unit of Singapore General Hospital. As a Singaporean myself who was born and raised up in Singapore, I do respect him as a founding father who brought Singapore to where it is today. As a student growing up in Singapore, I heard of this great man who fought for the independence of Singapore. Despite all obstacles, he still believed that Singapore will survive even after the separation from Malaysia in 1965. That was the familiar scene where we see Lee Kuan Yew shedding tears on TV. He was the person who transformed Singapore. During the youth Olympic games in Singapore a few years ago, there were many foreign visitors who came to Singapore for the first time and they were greatly impressed by the peace and prosperity here. I remembered a guy from Europe approached me on the MRT and told me how impressed he was with Singapore. There was a young school girl probably at the age of 13 or 14 travelling alone on the MRT and he was very surprised that kids are safe to do that here. He said in his country, it is too dangerous for children to travel alone. "We the citizens of Singapore, pledge ourselves as one united people. 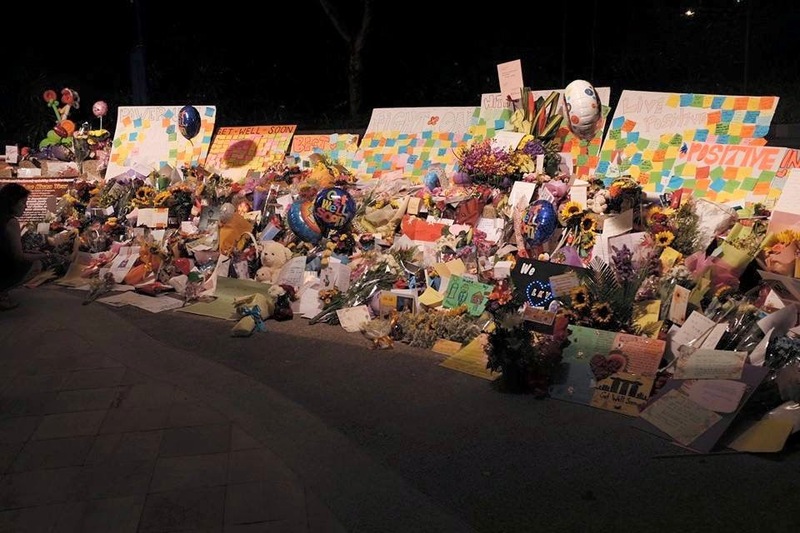 Regardless of Race, language or religion...."
"Overflowing with well-wishes from Singaporeans, young and old. A truly heart-warming scene at the steps of the Quad, outside Kopitiam"
As a blog based in Singapore, I want to show my support for Mr Lee Kuan Yew too. I've complied a video which shows how Singapore survived from independence to today. It is the brave words that said "Singapore will survive" and the vision of Mr Lee Kuan Yew to see it as a metropolis which made it into a reality. *Mr Lee Kuan Yew has passed away peacefully early morning on Monday (23 March). Risks in the financial industry has always been there and if we're not careful, we could all be on the road to another crisis. The financial industry has changed a lot over the years especially after the famous 2008 global financial crisis which lead to the fall of Lehman Brothers, one of the world's largest investment banks. 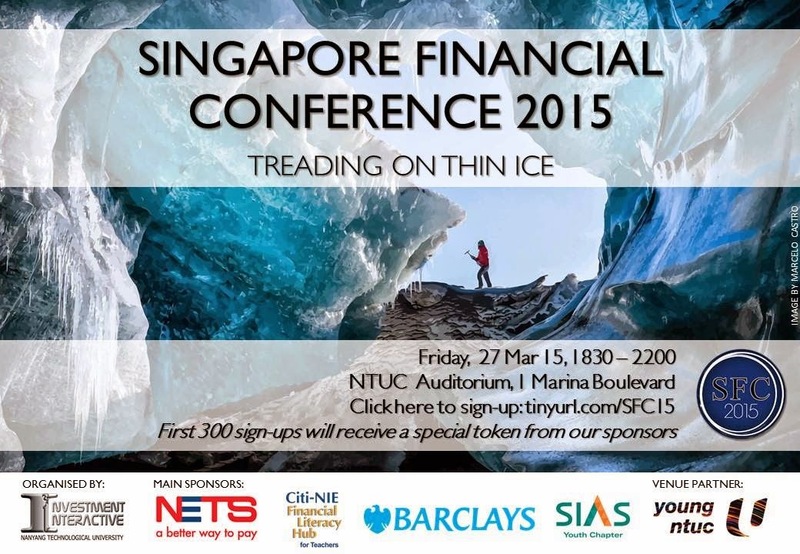 Singapore Financial Conference 2015 is an annual event that is organised by NTU Interactive Investment Club. My blog, SG Young Investment, is proud to be the media partner for this year's financial conference which will be held conveniently at NTUC auditorium, 1 Marina Boulevard. This event is fully sponsored and you can register for a FREE ticket to the event. All participants will each get a goodie bag and there will also be complimentary dinner served as well. This year's theme will focus on how past and present events have shaped the risk and regulatory environment in the finance industry as well as the implications of these changes on participants, whether as a potential investor or as an undergraduate looking for a career in the finance industry. If you're an investor or a student planning to join the financial industry in the future, this conference would definitely be an eye opener for you. With oil prices at a low and interest rates set to increase, I'm sure all of us want to know what are the opportunities and risks out there. Is the financial industry still suffering the aftermath of the 2008 financial crisis? All these and more will be discussed during the special panel discussion at the conference. The organizers have invited prominent speakers from the financial industry such as the senior vice president and head of retail investors from SGX, the general manager of SIAS and more. They will be introducing Pigeonhole Live, a Q&A smartphone app during the event so you can fire away your questions instantly and anonymously to their panel of distinguished experts. What's more, you get to interact with the professionals during a casual networking session over a complimentary dinner. I will also be there at the event as the organisers have kindly invited me as a distinguished guest. Presentation by Securities Investors Association (Singapore): “Governance, Risk and Compliance in the Financial Sector"
This conference is just a week away and seats are limited. Hundreds of people are expected to turn up for the event. Get your FREE tickets now (Dinner and Goodie Bag inclusive). Its so hard to save money but easy to spend money. Do you agree? Most of us would agree to the above statement. We have always been told that we need discipline to save money. The word discipline sounds harsh. It reminds me of the discipline master in school who punish students that misbehave. It reminds me of the regimentation in army which controls our freedom. Is it really that hard to save money? Since saving money has been a boring and a sad topic to talk about, let's try a different way and talk about spending money instead. What exactly are our minds thinking when we spend money? Perhaps this will shed some light on how saving money can be easier for all of us. Imagine a world without money. Will we still be happy if we have no money to spend? 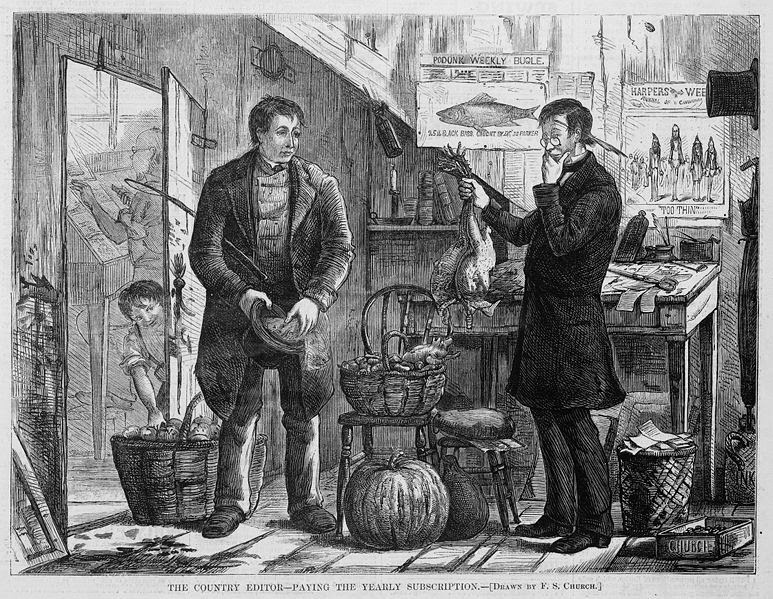 In the olden days where Fiat money was not yet introduced, people practice barter trading with each other where they exchanged goods and services without the use of money. In those days, if you want to eat chicken, maybe you can exchange it with the duck you have and if you get tired of having chickens, you can exchange for some other stuffs. As long as both parties agree, the trade can be carried out. Barter trading may not be equivalent to spending money as you need to exchange your goods for someone's else goods. It really depends on whether you think your goods are worth to be exchanged with another person's goods? Exchanging a cow with a chicken doesn't seem like a fair trade in this case. If we put it to today's context, will we exchange an iPhone with a cow? Which is more valuable in this case? In today's world, we don't have to exchange goods for goods any more. Money was created as a medium of exchange to buy goods and services. The more money we have, the more things we can buy. It is not like in the olden days where the stuffs you own will always be limited since you will always have to exchange something for another. This resulted in most of us buying more stuffs than we actually need. In economics class, I learnt that the Earth has limited resources but humans have unlimited wants. This is the concept of scarcity. As such, when more people want a particular item, the prices are raised up so less people can buy it. Our high housing prices are a result of scarcity. More people want to buy houses but there is not enough of it. It drives prices up. Most people spend money and few are savers. The main reason is a lot of us see money as only some paper or plastic we have in our wallets. Worse still when money is in the bank, we only see it as numbers. 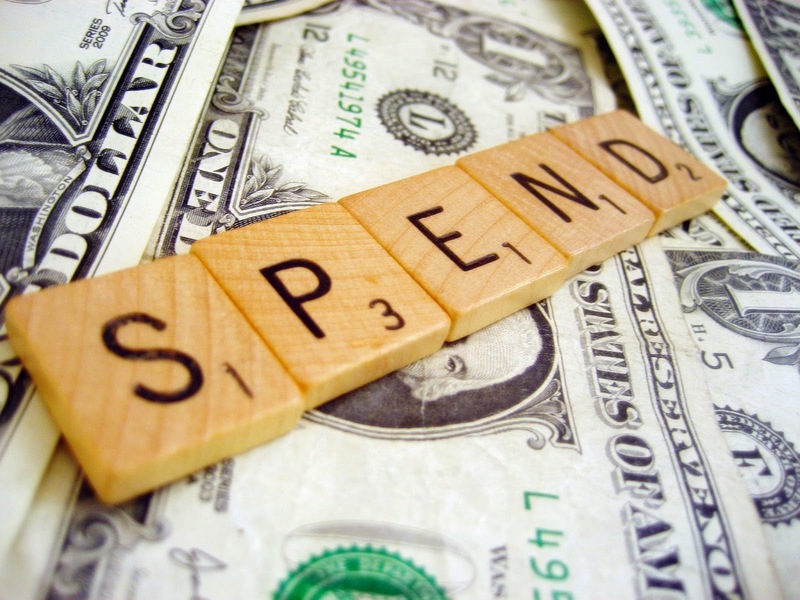 When we start spending, money seems to have a value now base on the things we spend it on. We receive something we can see in exchange of papers, plastics and numbers. We receive services which makes us feel good. We thought that we got rid of an unreal creature called money which has no value for us. Does money really have no value? To say the truth, all of us are right when we think that money has no value. It is really just a medium of exchange and is only legalised for use just because our government says so. During war times, money has no value and really becomes just paper then. But should we spend all our money just because it has no value? If you realised, till now I'm still talking about spending money and nothing about saving money. The way to wire our brain to spend money differently is to buy the correct things with our money. When we buy the wrong stuffs such as spending too much on luxuries, the money is gone forever. But if we buy assets such as stocks, properties that can put money into our pockets, then the money grows continuously. That being said, we can still buy luxuries. But I will use the money generated from the assets I bought to pay for these luxuries. In this case, my money continues to grow while I enjoy the luxuries instead of running into financial problems if I just spend on luxuries without buying assets. I get to enjoy and at the same time I have more money. The rich get richer this way. When we chase after material possessions, we end up being possessed by the possessions. This is so true as we often see people who own a lot of possessions are still not satisfied with what they have while those who live simple lives are contented and happy. If we can change our mindset to be grateful for the little things in life, it would be so much better. We may just end up happier each day. If you find it hard to control your spending and have nothing left at the end of every month, try to take note of your thought process and it could all change for the better. 2. The pursuit of money or happyness? Does having more material possessions make us happier and richer in life? In today's world, we have so many things to choose from and it feels awesome. But, sometimes we just give up choosing and use the same few stuffs. In recent years, the number of fast food chains have increased 2-3 times and the number of clothing stores have increased by many times too. We even have hundreds of TV programmes to choose from and hundreds of food items at the supermarket. There have been calls to improve financial literacy by different groups of people and government agencies are also stepping up efforts to promote financial literacy in our society. There are benefits for the society as a whole when people knows how to make wise financial decisions. Before we go into how financial education can make a difference in our lives, let's take a look at what problems will there be if we are not financially educated. Money has caused a lot of problems in this world. Because of poor financial decisions, families break up, children suffered, old people could not afford to retire and lives were even lost in the process. With financial education all these could change. All of us could have better lives for our future. What exactly is financial education? When we talk about financial education, what comes to your mind? Is it money? Is it saving? Is it retirement planning? 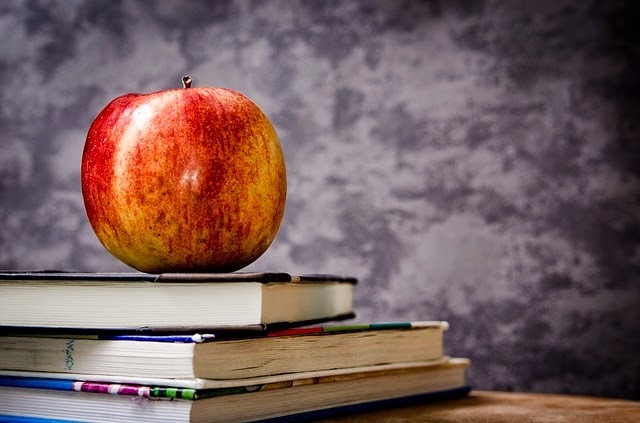 Most of us will have a general idea of what financial education is but let me list out what exactly financial education is. Financial education is what we need for our whole adult life. Without the necessary education on financial planning, students become worried that they may not be able to afford a house in the future. Young adults have problems understanding how much debts they can take. Adults don't realise the need for retirement planning. Where to get financial education for yourself? Financial education is not just about investing. Many young people will jump right into learning how to invest which is directly opposite of what we should do at the start. Instead, we should focus on the basics of financial planning. But, you may ask, where do I start in my own financial education? Where to start in financial education? Since most of us do not learn financial education in schools, the only way is to learn it ourselves. The way to start is to look at the stage of life we are at now. Let's start with financial education for students. Financial education should start as early as possible. When kids are young, they can already start learning on the value of money. Savings habits are built from young. Needs and wants can be taught to kids to let them learn the benefits of delayed gratification. When students get to the tertiary level of their studies, they start to be curious about money as they know that they will have to plan for their careers path and start working soon. This is an important stage to learn about planning for marriage, planning for the purchase of a house and understanding the risks involved in investments. When we start working, suddenly we are exposed to more money than we have ever seen during our student life. When we're young, we will have the thought that if we grow up, we can buy the things we want with the money we earn ourselves. This is exactly what many people will do. When they get their first pay check, they are excited to spend it on the things they have always wanted to buy but can't afford as a student. It is not wrong to spend but we must manage our money well so we won't get into financial problems in the future. From the day we start working, we should have financial plans for our future. Whether its saving up for retirement or saving up for marriage and a house, all these will need conscious planning on our part. As adults, retirement planning should be the focus. As we grow older reaching retirement age, we should start to lower our risks in investments and go for more stable and secure retirement plans. The CPF is a secured retirement plan where it can earn us a stable 4%-5% interest in our Special Account (SA). At the age of 55, we would be able to get back a lump sum less the amount required to be locked in for monthly payouts at age 65. We could even plan it such a way that we can receive monthly payouts ranging from $1200-$1900. It could go up to $2000 plus in monthly payouts in the future. 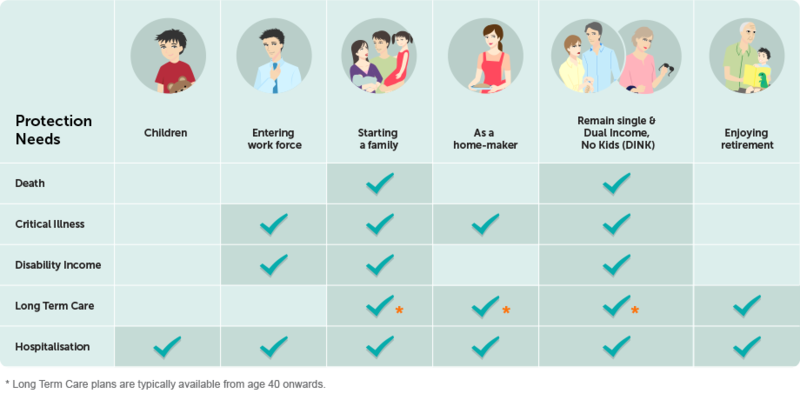 This is the CPF life scheme and the payouts starts at age 65 till death. How financial education can make a difference in our lives? If we go through the above 4 stages of financial education, we would more or less be assured of a secured financial future. Stage 1 - We adopt good savings habits and understand the benefits of delayed gratification. Stage 2 - We learn that planning for a marriage and buying a house is not that difficult if we plan early. We do not lose money unnecessary through investments as we understand the risks involved. 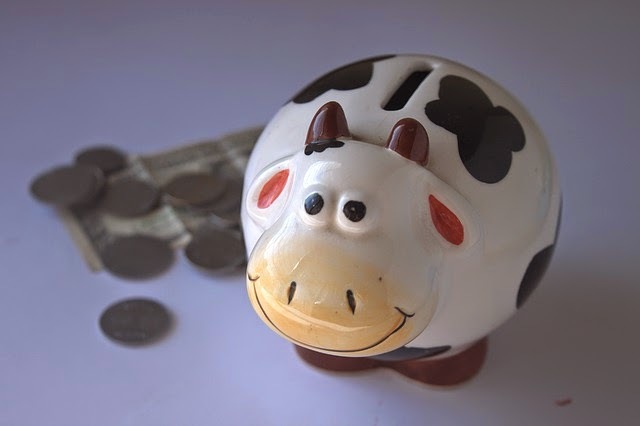 Stage 3 - We have savings goals when we start working and do not get into trouble with debts. Buying a house and planning for marriage is easy as we already know what to do. Retirement planning starts early. Stage 4 - We know we can retire by what age if we want to. Our financial future is already secured. We do not have to worry about not having enough money for our old age. Which stage of financial education are you in now? Are you prepared for the different stages of your life? Get yourself financially educated today to have a more secure financial future! 1. How To Create Your Own Financial Plan Before You Start Investing? Is it possible to save up $120,000 in just 4.5 years of work? Just a few days ago, I was doing a financial health check for myself using an excel spreadsheet which has since became my best friend for financial planning. I was surprised that after adding up, I had more than $120,000 (Inclusive of CPF). How did it happen? In this post, I'll show you what happened over the past 4 years plus and try to think back on what I did to accumulate more than $120,000. If you think that I started with a high paying salary, you're wrong. 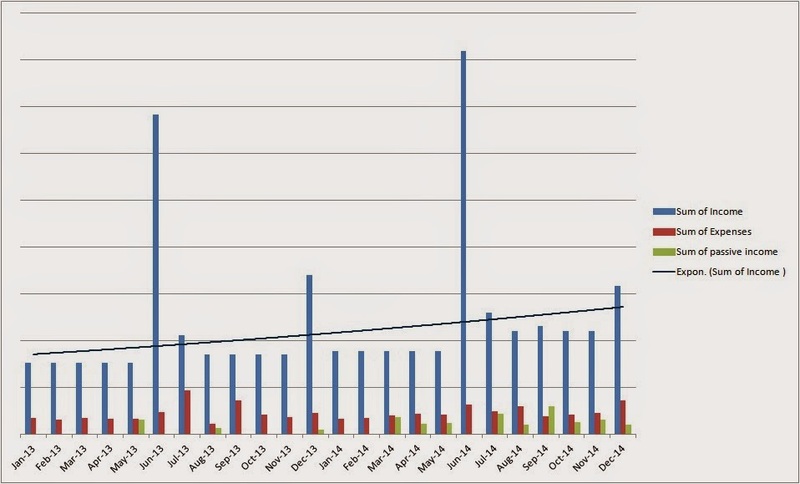 I started with just $1700 per month back in October 2010 as a diploma graduate and to make things worse, I had to pay close to $20,000 for my part time university course fees all within the 4.5 years. How did the $120,000 came about? I saved up about $10,000 before I started working full time. The money was saved up from the allowances given to me by my parents while I was still a student, saved up from the many part time jobs which I worked as a student, and saved up from the NS allowance which I got. $10,000 is not a huge sum of money bearing in mind that it was saved up over many many years. But, it is the habit of saving up in my younger days which made it easier for me to accumulate $120,000 earlier than later. Is it that hard to save $120,000 in 4.5 years? If we break it down, to have savings of $120,000 in 4.5 years, we need to save about $30,000 a year which is $2500 a month. Most of us will not be able to save $2500 a month when we just started working. Thus, besides having monthly savings goals, yearly savings goals would make more sense for most of us. If we factor in our bonuses and other income throughout the year, it may just work out to an average savings of $2500 a month. I know there are many negative sentiments on the CPF out there. But, the truth is the money in our CPF accounts are part of what we have. We contribute 20% of our salary to our CPF accounts and our employer contributes an additional 17%. This adds up to a saving of 37% of our income which is quite a significant amount. Currently, I have more than $30,000 in my CPF OA account in just 4 years of work. This will come in handy when I need to buy a house in the future. Moreover, CPF gives interests in the range of 2.5% to 5%. Right now, I can receive about $2000 in interest on a yearly basis. My salary has increased more than 60% over the past 4 years. This is more than 15% increase every year. I've also built up additional income through stocks investing and writing. As I earn more, I can save more which leads to both income and savings increasing exponentially. Most of the time, we spend more when we earn more. That is perfectly normal but we have to bear in mind to control such that the increase in spending does not exceed the increase in income. If we earn $300 more this month, we may want to increase our expenses by $100 but should not increase by $300 or more. Let's assume we earn a gross salary of $2500 per month currently. Our take home pay after deducting 20% for CPF would be $2000. If we save 50% of this $2000, it is $1000 in savings in cash. The 20% we contribute to our CPF is $500 so that is additional savings. Our employer contribute another 17% which is $425 as savings in our CPF accounts. Adding up all of this, we get $1000+$500+$425= $1925. When we save 50% of our take home pay, we can easily have a savings of $1925 per month. $1925 is a savings rate of 77% from the gross salary of $2500. If we can save 50% or more of our income, accumulating wealth is not difficult. I generally save more than 50% of my salary and in certain months, I could even save close to or more than 100% of my income due to the passive income which I've built. Save up early in life even when you are still studying. If you're a student, you can save from your allowance and part time jobs. Aim for a 5 figure savings. Set monthly and yearly savings goals. Increase income and savings. Save more when you earn more. Create passive income. Save more than 50% of income to accumulate wealth faster. A 50% savings on our net salary plus 37% savings of our gross salary in CPF adds up to a total of 77% savings altogether on our gross salary. Throughout the past few weeks, I've heard a lot of feedbacks that young people are pessimistic for their future. They are worried that they would not have enough money for their lives. I hope that through this post, young people would feel more optimistic for their future. There is no lack of money when we set our path right. Life is a journey and will always be a journey. I was chatting with a few colleagues during lunch and somehow we realised how fast time has passed. Time lost can never be rewind back. Do we want a life that is mundane and just work for money or do we want a life where we can find a purpose for? In the current world we live in, everything revolves around money. Without money, it is very hard to get married and start a family. It is also very hard to buy a house without money. Passion on the other hand does not focus on money. It is what we do because we want to, not because we have to. Can we still pursue our passion and at the same time still have the money to survive in this world? Financial planning is important and my blog, SG Young Investment, is a blog about finance and money. However, if you've been a reader of my blog all these while, you would know that I do not subscribe to the chase after money lifestyle and materialism. This blog is about finding your purpose in life and freeing ourselves from the slavery of money through financial intelligence. Let me share with you some ideas on finding your passion and keeping it alive in this new age that we live in. Passion lies deep in our hearts. It may have been there since our younger days. Search back your heart to the days when it was still innocent. What did you want to do when you grow up? What do you really like doing as a child? It can be you like to help people since young so now you may be a councillor. It can be you like challenges since young so now you may have your own business. As with all matters of the heart, you'll know it when you find it. Another thing to look at is to search for the distinct talents which you might have. Some of us may be good at analysing. Some of us may be more creative than others. Some of us may relate better to people. No matter what, all of us will have talents in our own unique ways. 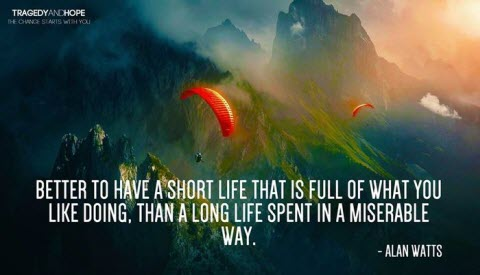 Many of us like to think through life and imagine how good it would be if we were to live in it. However, you would never know the true feeling of being in that life unless you take action and step into it. To discover your passion, take small steps to try out and expose yourself to what you like. You don't have to do it full time and quit your job. You can do it during your free time while still working. I started this blog back in 2013 out of a passion to write on financial matters. I did not quit my job and in fact was still pursuing my degree on a part time basis while working full time. I was writing articles on my blog and at the same time writing thousands of words for the many essays I had to submit in University. Even after writing more than 30,000 words in University and more than 250 articles on my blog, I'm still at it now. This was how I discovered my passion by stepping into it. Once you've discovered your passion and step into it, chances are you'll meet like minded people too. However, it still takes a conscious effort to build up friendships along the way. Our time is limited and we can only choose to spend quality time with that many people. Setting priorities and managing our time well is crucial at this stage to keep the passion alive. For myself, ever since I started writing on financial issues, I've met many other financial bloggers, financial professionals and even people from various government ministries who are into financial education. Right now, every week I'm meeting new people and each time my passion for financial education is boosted. It is heartening to know that there are many other individuals out there who want to spread financial literacy to make our world a better place. Doing what we like for the rest of our lives is a dream for many of us. Transitioning from pursuing your passion part time to full time is a conscious effort. Sacrifices have to be made. There are businessmen who found their passion in the F&B industry and started their own food business. You may have heard of the tough times these businessman went through but they kept going on. Passion keeps many of them going. You can also find passion in the job you choose to work in. Not all of us have to start businesses. I've seen people who are so passionate in their job that it becomes part of their lives. Teachers can be passionate in teaching and find joy in seeing their students succeed in life. Nurses can be passionate in serving their patients and seeing them recover well. Chefs can be passionate in serving good food to the diners. When we're passionate about what we do, we become so good at it that it can attract opportunities and people are willing to pay a higher price for our services. At this stage, money doesn't become a problem then. This is where we can say: "This is not just what I do but who I am." 3. The pursuit of money or happyness?